Are you someone who is always on the run in the mornings? Do you hate waiting for the conditioner to soak in after shampooing? If so, lucky for you, there are a bunch of hair care products that cleanse and condition your hair at the same time. You don’t have to buy a shampoo and a conditioner separately – these 2-in-1 hair care products come with all the goodness in one bottle. These are perfect for travel enthusiasts as they save your time, money, effort, and space. 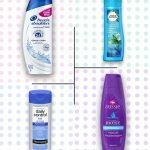 Here, I have compiled a list of 15 top-rated 2-in-1 shampoo and conditioners available on the market right now. Take a look! 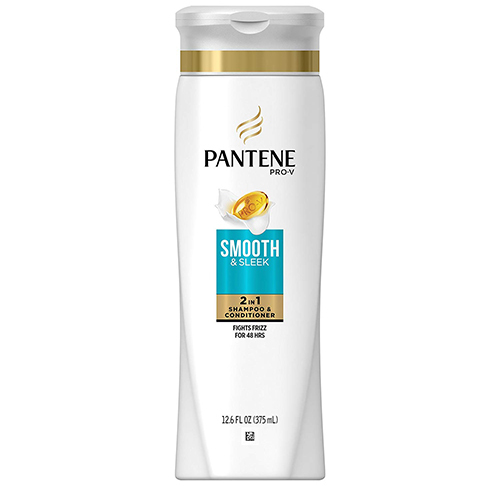 Pantene Pro-V 2 in 1 Shampoo & Conditioner nourishes and strengthens your hair with its powerful Pro-V formula. It gently cleanses and conditions your hair and makes it soft and silky. This hydrating shampoo contains a blend of argan oil and avocado oil that helps rejuvenate dry and brittle hair. It also controls frizz, prevents split ends, and promises to deliver shiny and touchably soft hair with every wash.
Get silky and smooth hair instantly with this conditioning shampoo that is formulated with Pro-moisture complex. It claims to make your hair 5X times softer and smoother by nourishing each strand from within. It protects your hair from humidity and pollution. This lightweight formula is ideal for daily use as it does not weigh your hair down. This shampoo claims to make your hair soft, radiant, glossy, and healthy in a single wash. 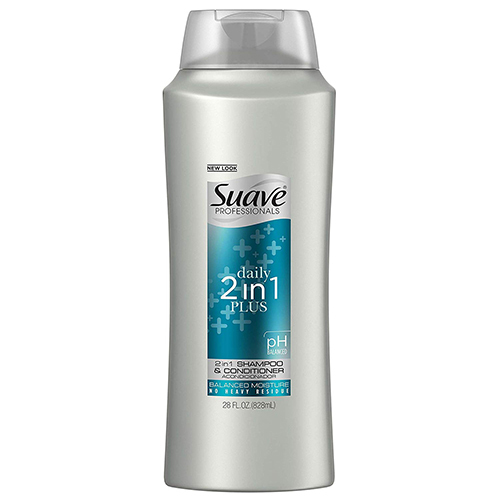 Wave goodbye to dry hair by using this moisturizing 2-in-1 shampoo and conditioner. It is formulated especially for dry and damaged hair. 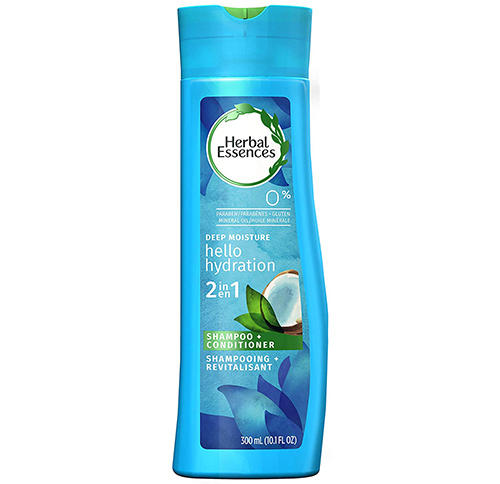 It promises to nourish each hair strand from within with its coconut essence. This shampoo cleanses your hair and softens it while providing a great deal of hydration and moisture. It tames frizz, removes tangles, and prevents split ends. It has a pleasant lingering fragrance. This product is infused with grapefruit essence that helps revitalize each hair strand from within. It contains active fruit proteins and vitamins B3 and B6, which make your hair stronger and healthier. This repairing shampoo contains antioxidants that work effectively in imparting strength to the roots. This shampoo is formulated with a multivitamin blend that helps nourish and replenish your hair in one simple step. It provides hydration to your locks and keeps your hair healthy and revitalized for weeks. It clears residue, keeping your scalp squeaky clean. It is formulated with anti-breakage properties to reduce splitting of hair. It imparts long-lasting shine, giving you salon-like silky hair. This shampoo cleanses and conditions your hair in one easy step with its built-in shampoo and conditioner formula. It claims to show results in 3 minutes by offering deep hair conditioning treatment. 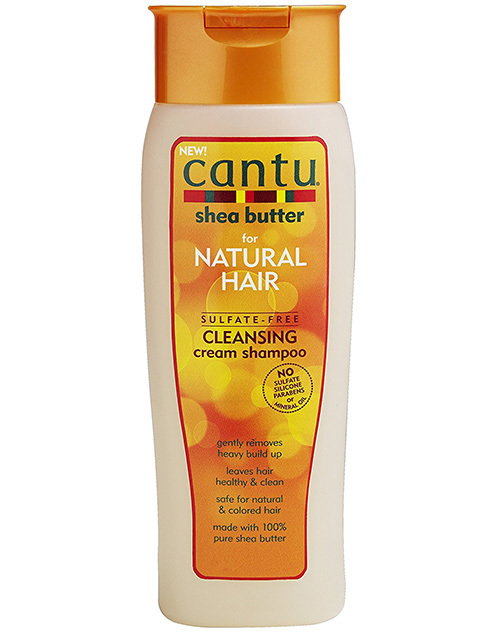 This shampoo nourishes your hair and strengthens it against damage and breakage. It contains aloe vera, jojoba oil, and sea kelp that help hydrate dry and brittle hair. 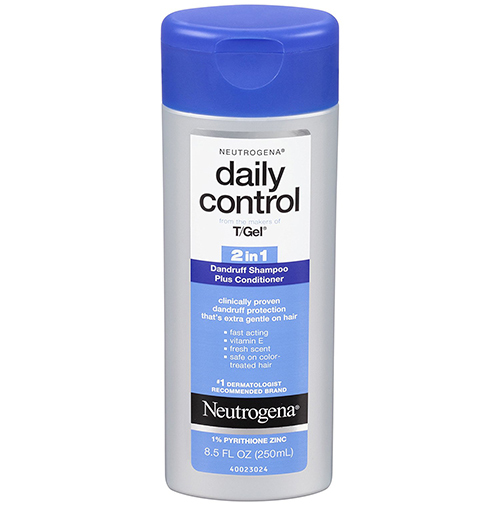 This dermatologist-recommended formula fights dandruff while conditioning your hair. 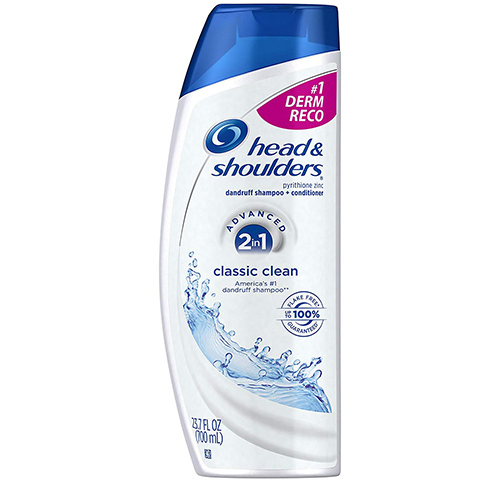 It is formulated with Pyrithione Zinc that helps relieve itchy and flaky scalp. It contains vitamin E and wheat proteins that help moisturize your hair and scalp. This gentle cleanser promises to leave your hair looking soft and manageable. It also protects your scalp from infection and dandruff. This pH balanced moisturizing shampoo cleanses and conditions your hair in one quick step. It helps you achieve soft, silky, and healthy hair within a couple of hair washes. It claims to clear built-up residue, leaving your hair feeling fresh, clean, and healthy. 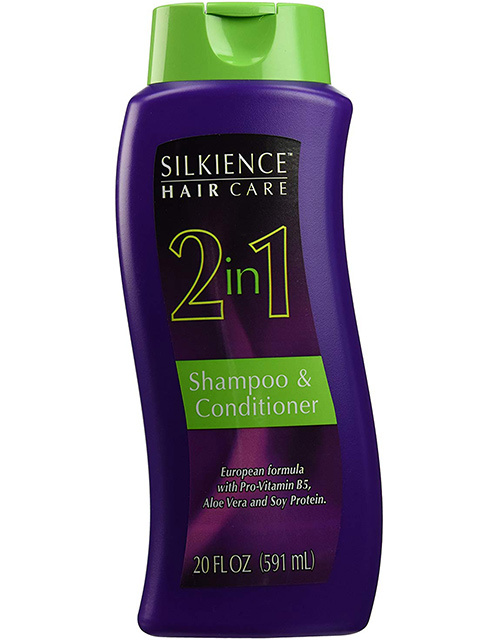 This 2-in-1 shampoo contains a salon-quality formula designed for dry and itchy scalp. It promises to control dandruff while reducing breakage and split ends. 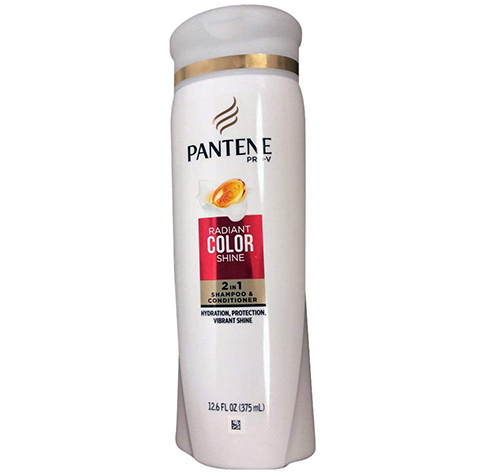 Pantene Pro-V Radiant Color Shine 2 in 1 Shampoo and Conditioner claims to protect your hair color from fading, hydrate dry and brittle hair, and impart long-lasting shine to dull and lackluster hair. It is formulated with Pro-V complex that helps nourish and condition color-treated hair. This shampoo contains antioxidants that leave your hair looking shiny and feeling soft and silky. H & S is a classic brand that has been around for decades and is a popular name in the hair care industry. 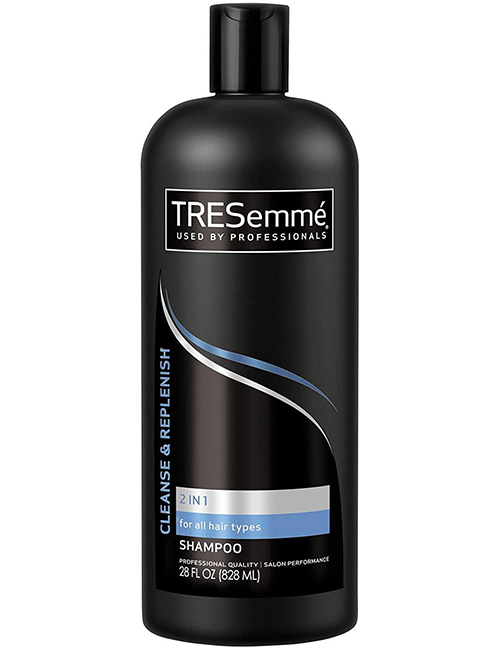 This 2-in-1 shampoo and conditioner is made with a triple action formula that helps treat dandruff and itchy scalp. It imparts vitamins to your scalp and provides balanced conditioning treatment to the cuticles. 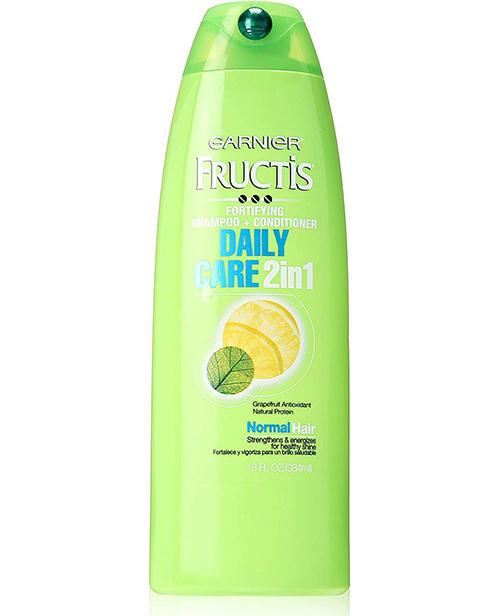 Besides cleansing, this shampoo adds moisture to dry and flaky scalp. 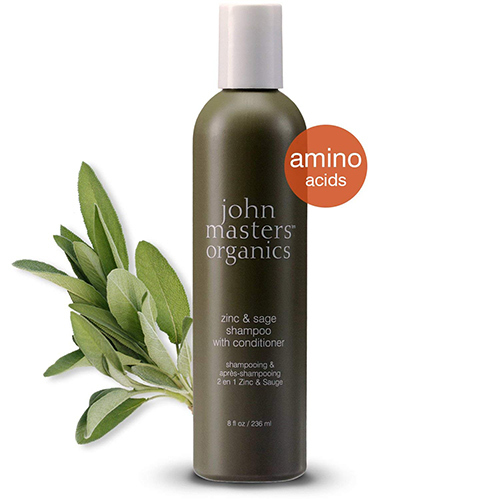 John Masters Shampoo and Conditioner is formulated with zinc and purifying sage. It claims to soothe dry and flaky scalp by imparting antioxidants and amino acids to it. It also strengthens your hair, making it silky, shiny, and manageable. This shampoo protects your scalp from free radicals. It conditions each hair strand and prevents breakage or split ends. This shampoo is infused with active proteins that penetrate deep into each strand to make your hair soft, silky, and healthy. 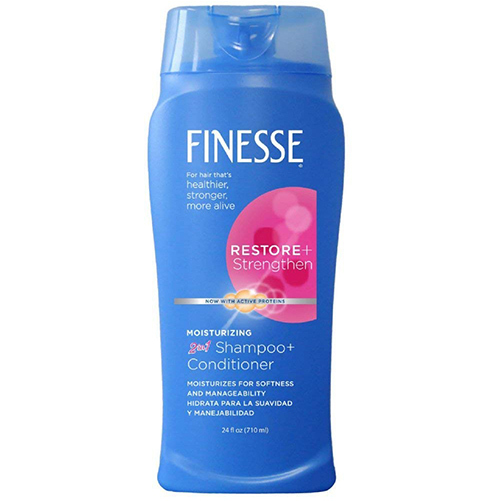 Finesse Restore + Strengthen Moisturizing 2 in 1 Shampoo + Conditioner helps restore strength and resilience to dry, damaged, and frizzy hair. It moisturizes your hair and replenishes it from the roots to the tips. It also helps untangle coarse and unruly hair. 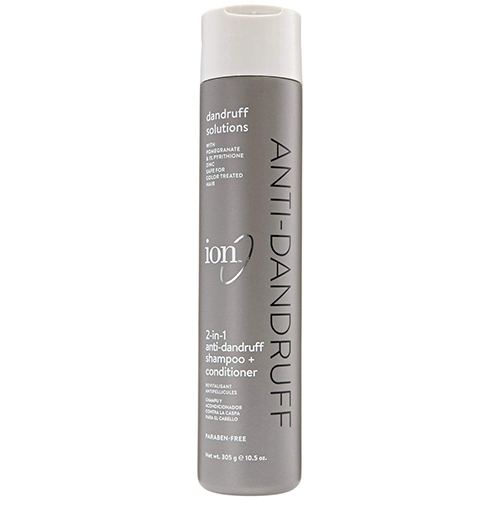 Ion 2 in 1 Anti-Dandruff Shampoo and Conditioner contains 1% Pyrithione Zinc and Pomegranate extracts that help relieve scalp irritation, itching, and flakiness. It cleanses impurities and conditions each hair strand. Pomegranate extract helps in eliminating dandruff. This product promises to leave your hair looking soft and manageable. 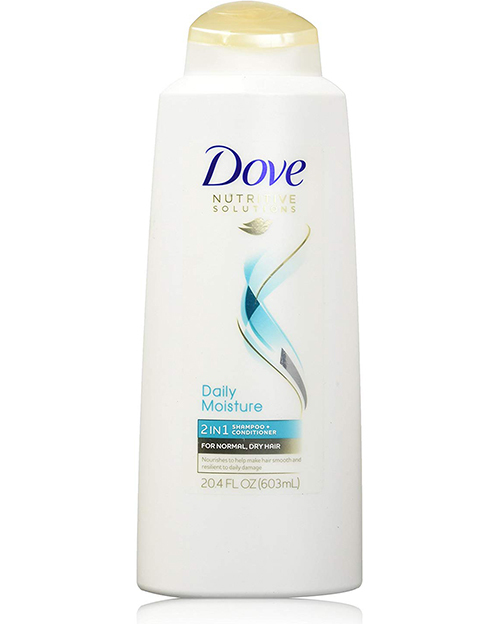 This sulfate-free formula gently cleanses and moisturizes dry and damaged hair. The moisturizing elements in this shampoo help soothe damaged cuticles and repair each hair strand from within. It imparts shine and keeps your hair hydrated for days. This conditioning shampoo also helps redefine curls and keeps in them in shape. This product contains soy protein, pro-vitamin B5, and aloe vera. These ingredients impart luminous shine to dull and lifeless hair. When applied, this solution softens your hair instantly and imparts an invigorating fragrance to it. You can witness noticeable changes in the texture of your hair after a single wash. This hydrating shampoo is great for natural hair as it helps define the curls without weighing the hair down. 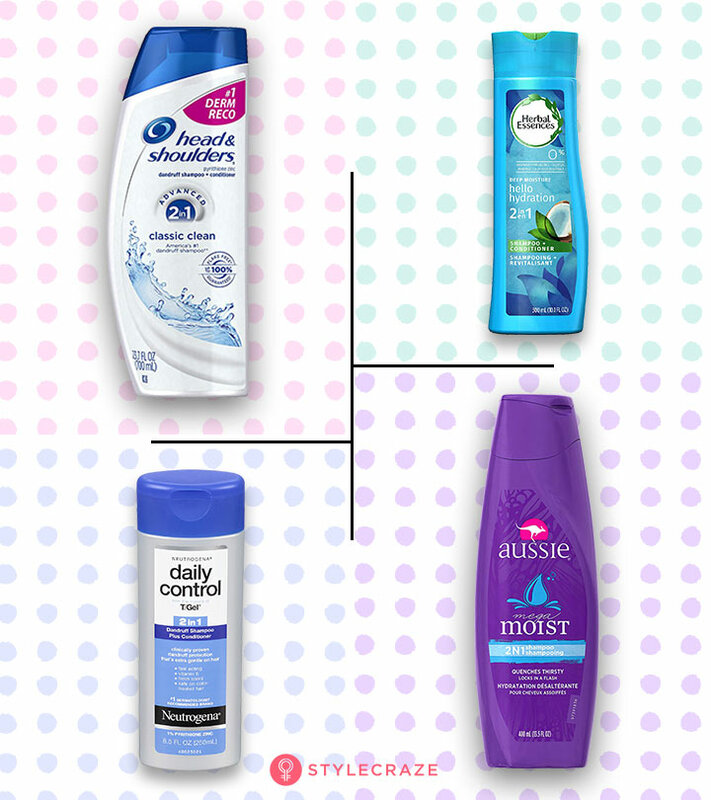 These were our top picks of the best 2-in-1 shampoos and conditioners available on the market right now. Quickly grab your favorite product, try it out, and comment below to let us know how it worked for you.